In this article we show you how to save money if you find yourself looking for Foreign Cash in London. London is a diverse and multifaceted city with something to offer everyone. Whether you are visiting as a tourist or over on business, you will want to be prepared for your trip and ready with some british pounds in your wallet. In the bricks and mortar, established, tourist attractions such as Buckingham Palace, Westminister Abbey, and the Tower of London, you’ll have no problems using a topped up travel card or credit card. However, there are some areas such as the unique Notting Hill and Camden markets where you are better off carrying cash and positioning yourself on the ready for some haggling. 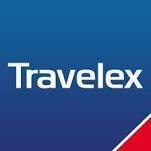 Ordering your foreign cash online from Travelex for delivery or if you’re in a rush then picking up the cash at a Travelex branch is your best bet for convenience and getting more for your currency. You will find that you can save a couple of percent on the exchange rate margin by pre-ordering your cash. Our Review of Travelex exchange rates includes the following table that shows you an example of how much you can save online vs buying your cash at the airport. The below live travel money comparison table shows how much you could save on your next foreign transfer or travel money purchase by ordering online vs the Average Bank Rate. This example shows you the situation where you want to change sterling for foreign cash, note the margins are compared to the current market mid-rate. Get better rates than available to you by walking into Travelex branches by pre-ordering online from Travelex, you can still pick up in person at any Travelex branch or at the airport.